People not only judge a book by its cover, but they BUY a book based on the cover. Your book cover is one of the most important element of your book. It is imperative that you put extra thought and energy into its structure, design and meaning. Most authors must also recruit professionals to help in the design, wording, colors and psychological triggers so the cover can do it’s job. Lesson (Cliché) #2: You never get a second chance to make a first impression. Human nature is clear on this point: Impressions occur immediately based on visual input and decisions are made instantly based on very limited information. Just as Steve Jobs fretted over the interior layout of a computer board nobody would ever see, your attention to the visual detail of your cover and title is imperative. Take a step back and think about the multiple tasks your cover must perform with the limited visual real estate you have to pull it off. In the case of most book covers, you can instantly recognize winners from losers. What is function of a book cover? First and foremost, your cover must interrupt the person’s thoughts and grab their attention. Boring covers don’t create an emotional reaction. You have to interrupt a person’s “sleep walking” through the shelves of a bookstore; online or offline. You don’t have a minute or even a few seconds to grab their attention. In 99% of the cases, if the cover does not interrupt their millisecond scans, they will never get to your subtitle. You have to be different…very different. Interruption all by itself, however, is useless. There are constant, irrelevant and obnoxious marketing interruptions everywhere. Without instilling curiosity, emotion or benefits on the cover, we will discard those interruptions that don’t grab us right away. We never use our neocortex or “mammalian” brain for first impressions. Based on our fight or flight response to danger (primitive brain) we apply the same decision making on marketing and advertising. It is only AFTER we feel safe, and our limbic brain feels safe, will our neocortex kick in and logically solve our puzzle. Therefore, your book cover and title are designed to either create or answer a question at the speed of light. If your cover and title don’t do one of these, it won’t work. Our primitive brain will dismiss your book as a waste of time or money. When you answer a question, you are offering a direct benefit to an assumed problem. When you ask a question, you create engagement. This is where demographic targeting, benefit statements and other psychology must be put into play. Your cover art needs to work in conjunction with the title. • If your message is too complicated, you will lose. • If your message is too weak, you will lose. • If your message creates a question, you have created an opportunity. In publishing, any headline’s sole purpose is to get you to read the first paragraph of the article. If the headline (cover and title) don’t do their job, nothing else matters. The same holds true for books. 1. Look at cover and instantly judge if it solves my problem or creates curiosity. 2. Turn over to read the back cover. This is your “paragraph” below the headline. 3. Table of contents. Does it give detail on a benefit to me? 4. Skim the interior. Are there bullet points that interest me or solve my problem? 6. Go to reviews on Amazon. Read the first one. If it’s intelligent, I may buy. If not, step 7. 9. Go back and re-read the TOC or introduction. Am I sold yet? 10. Buy or go back to watching cat videos. Facebook, G+, Linkedin, Twitter, Instagram, Youtube, etc. There are specific do’s and don’ts with all three of these covers. There are nuances and important differences one must change on all three. 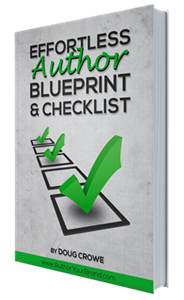 The biggest mistake authors make is using their printed cover for their Kindle book. A kindle book cover is a very small thumbnail in the KDP store. Your beautiful cover, graphics, subtitle and name are difficult to read on any small font. Do not use the same cover for your physical book as your Kindle… EVER! Unless your book is exceedingly simple in design, the nuances of your color, subtitle and design rarely translate from a 6×9 inch book to a 60×90 pixel thumbnail. Since we do judge a book by its cover and you have a tremendous opportunity to not only sell a book, but build your brand and influence hundreds of thousands of people, be sure to give as much attention and testing to your cover as you do crafting the words in your book. If you don’t invest serious design, testing and psychology into the performance of your book cover, your magical words and snippets of wisdom will be lost… trapped in the clutches of a mediocre cover. I’ve created a more detailed, visual analysis of the psychology of book covers. This short video includes visual examples, strategy and a video overview of incredible book designs that have created millions in revenue for authors and publishers. Click here to watch this FREE video!